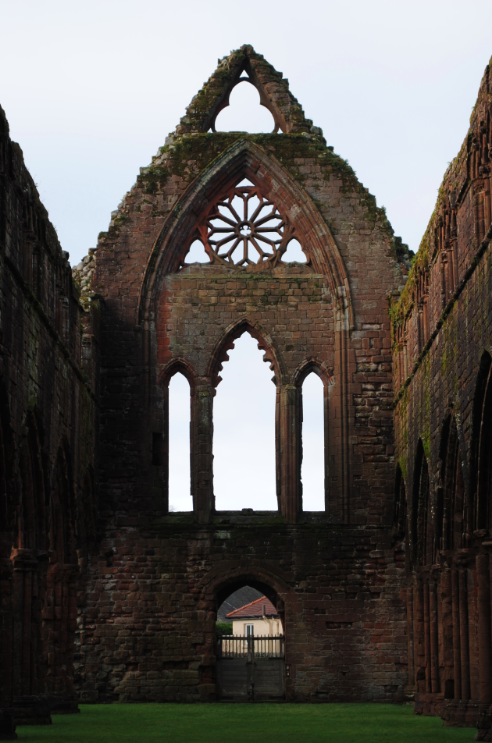 On the A710 next to Sweetheart Abbey stands New Abbey War Memorial. Dedicated to the memory of those lost in the Great War (1914-1918), the monument is of rough surfaced granite and set upon a stepped plinth. 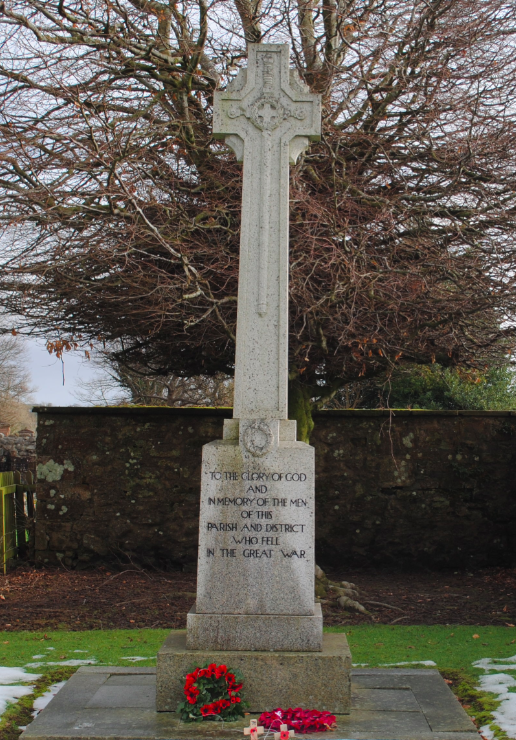 An ornamental sword adorns the cross shaft and the memorial lists thirty six names of those who lost their lives. 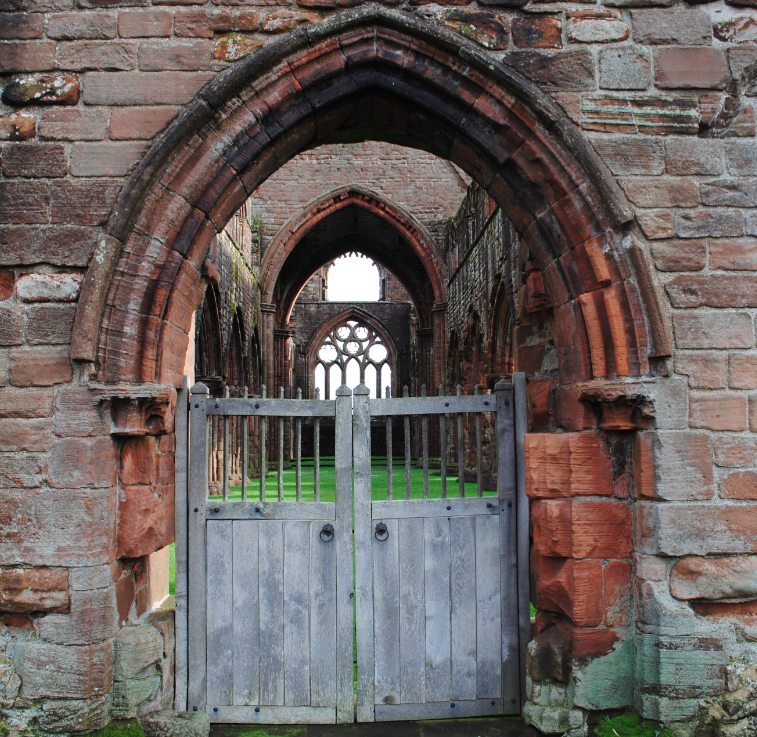 On the south coast of Scotland, where the swift flowing River Nith enters the salt marshes of the Solway Firth, stands the medieval stronghold of Caerlaverock Castle. 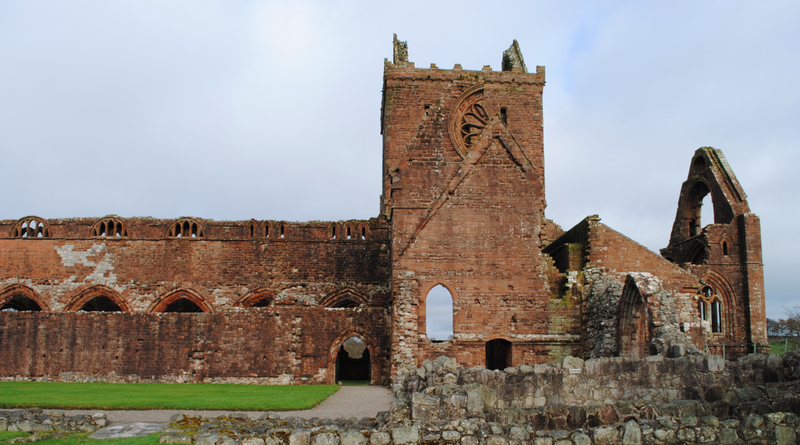 During the Middle Ages, the castle guarded an important gateway into the kingdom of Scotland. 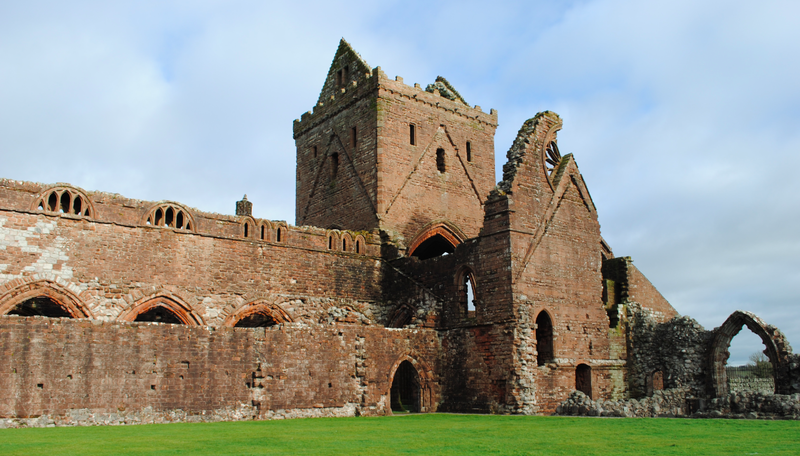 The lands of Caerlaverock (meaning fort of the skylark or elm fort) were ruled by British lords of Nithsdale after the Romans abandoned their hold on southern Scotland around 400AD. By 950AD, the Nithsdale lords had built a fort on the site that would later become the old castle. In around 1220, Alexander II of Scotland granted the lands to an incomer from the eastern Borders, Sir John de Maccuswell (Maxwell). 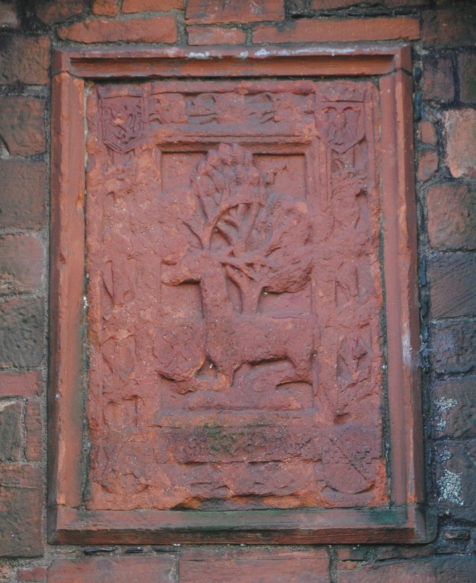 The Maxwell coat of arms was added above the entrance gate in the 1600s. The Maxwells built the first castle (old castle) around 1220 but as it proved too small and prone to flooding, they built a new castle in around 1270. The castle is uniquely triangular in shape with three tall towers built integrally at each point of the triangle. 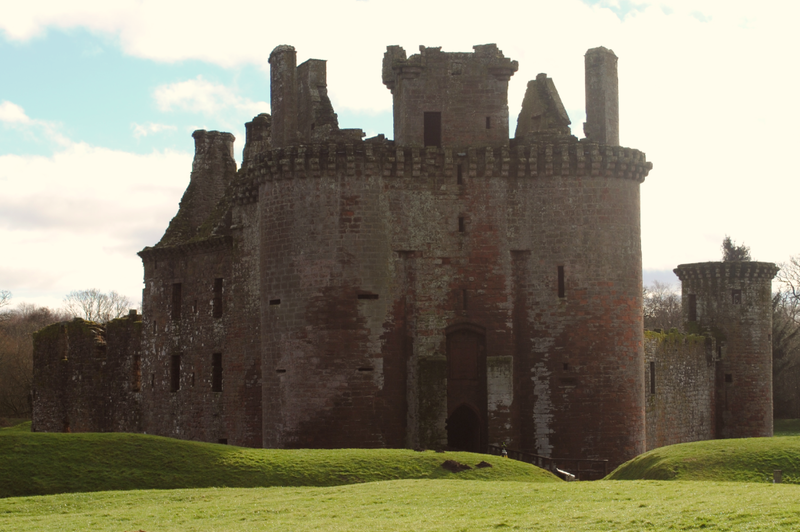 As a result of the close proximity to England, Caerlaverock Castle was frequently brought into conflict during the Middle Ages. The castle walls were rebuilt in the 1370s after the War of Independence and further alterations were made to make the fortress more suited for lordly living. 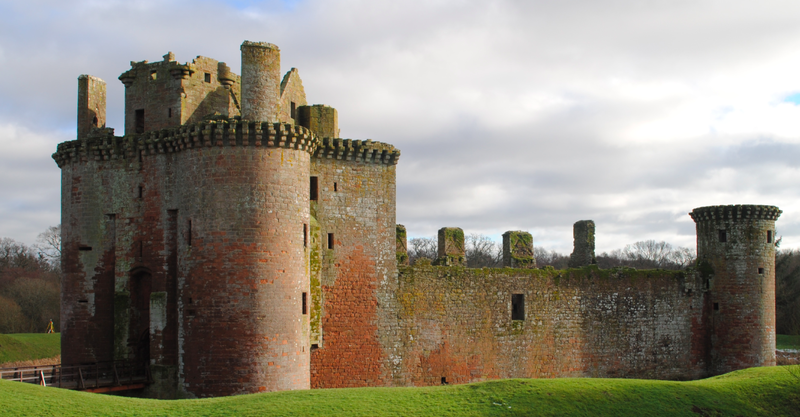 The siege of 1640 however, during the Civil War between Charles I and his Socttish subjects, proved to be the castle’s last, and after the Royalist garrison surrendered to the Covenanters, Caerlaverock fell into disuse. Surrounding the castle are two moats (outer moat is now dry) and following archaeological excavations in 1958, three phases of medieval bridge construction was discovered in the outer moat. 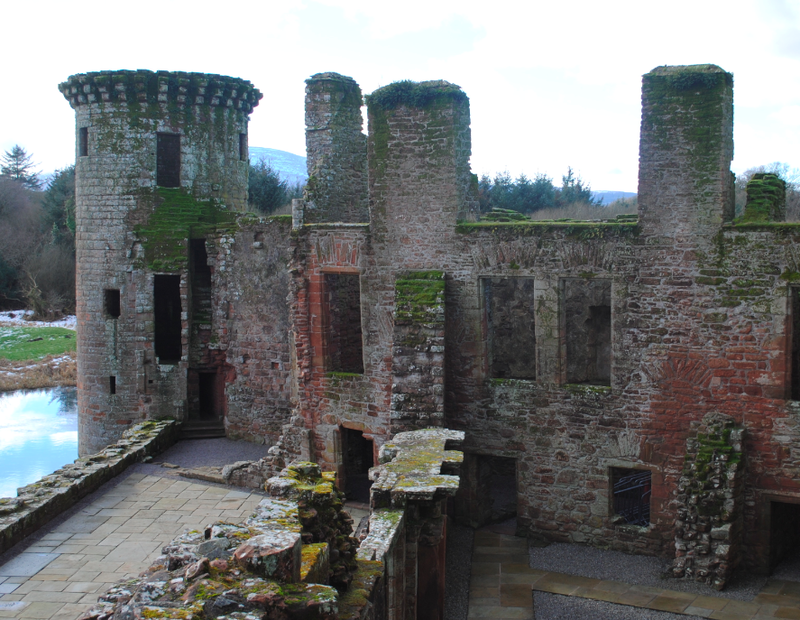 The courtyard (above) was the heart of the castle and when first built, the curtain walls were lined with timber buildings. Over the course of time, the Maxwells replaced them with stone buildings and a 15th century stone stair tower was added giving access both to the gatehouse and the west range. The plain front of the west range (above left & right) contrasts to the grand facade of the Nithsdale Lodging. Built after 1450, the two-storey block has three rooms on the ground floor, each entered separately from the courtyard. 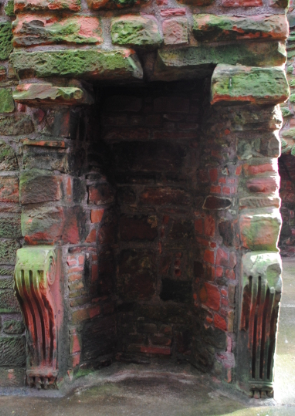 Each room had a decorated fireplace with a larger room on the upper floor believed to have been used as a great hall or banqueting room. At either end of the south range was a round tower. The south west tower, known as Murdoch’s Tower, still stands to full height. The tower takes its name from Murdoch the Duke of Albany, a cousin of James I, who is recorded as being confined there in 1425 shortly before his execution. In 1603, James VI’s accession to the English throne as James I brought peace to the Border country for the first time in centuries. 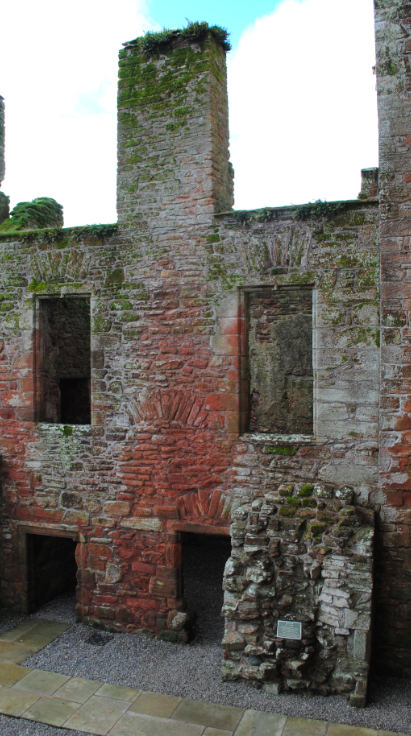 The new found confidence led to Robert Maxwell overseeing more building works within Caerlaverock and he was created Earl of Nithsdale in 1620. 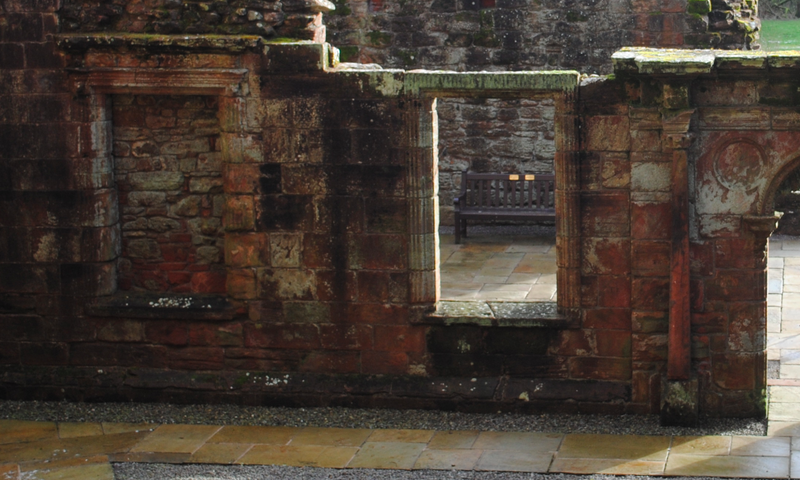 As they were built by Robert, the ranges along the east and south sides of the courtyard are known as the Nithsdale Lodging. The lodging was completed in 1634 and as security was no longer a priority, Robert had large windows installed in the east curtain wall. The Renaissance mansion had a richly decorated symmetrical facade with stone carving. The pedimented windows are adorned with figures from classical myths and legends. The east range consists of two roomed apartments on each of the three floors and all featured a fireplace and toilet closets. After the siege of 1640, the castle was partially dismantled by the Covenanters to render it incapable of further defence. 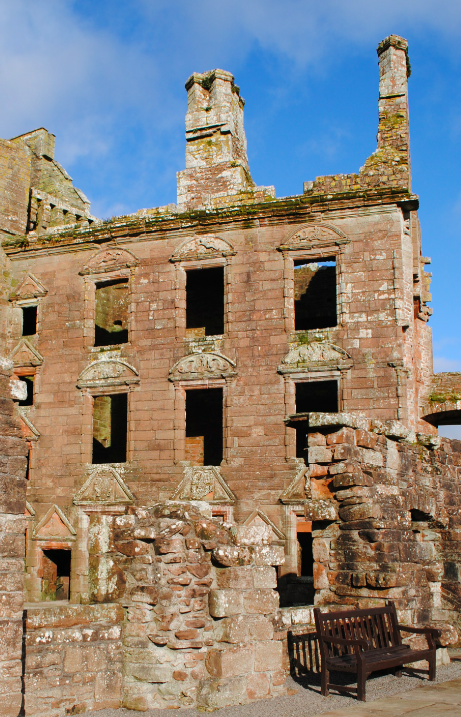 The castle was left to fall into decay until 1946 when the 16th Duke placed Caerlaverock in state care. 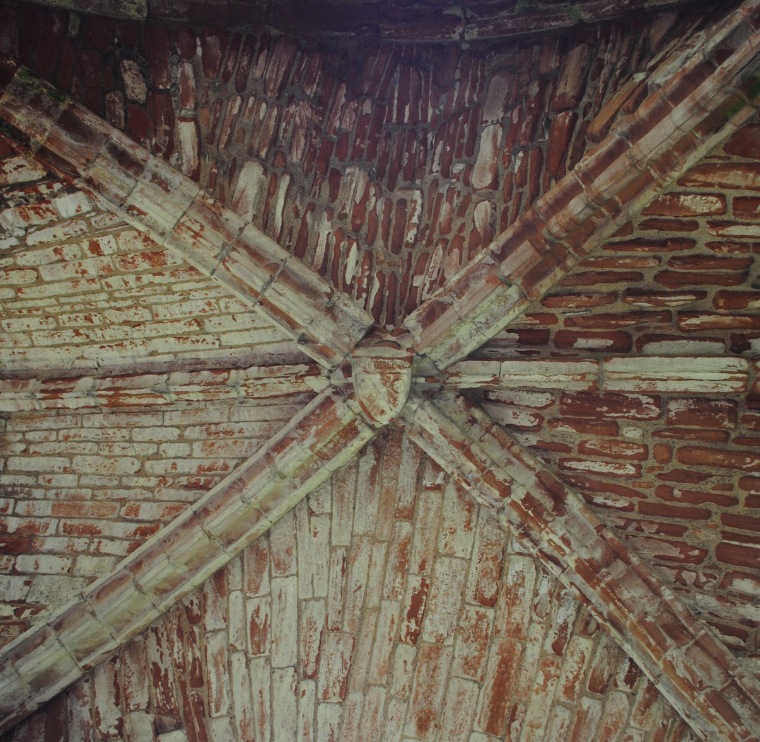 On display at Caerlaverock Castle are a selection of carved stones which show the diversity and skill of the mason’s art. 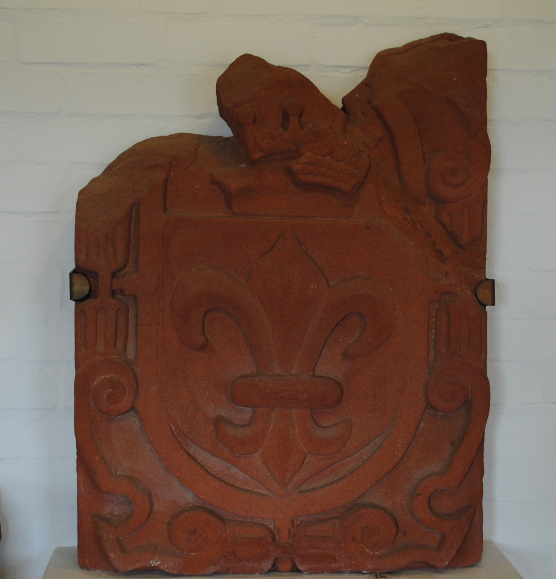 All of the fragments are from the castle and are carved from soft red sandstone. Most of the stonework is from the ‘dainty fabrick’ of the new lodgings built by Robert Maxwell, Earl of Nithsdale from 1634. Robert was well travelled and cultured and used the very latest in design for his classical house. The decoration was drawn from the literary world with illustrations from Francis Quarles Emblems, published in 1635, reproduced on the first floor while the second floor has carvings taken from an earlier book of emblems by Andreas Alciatus. 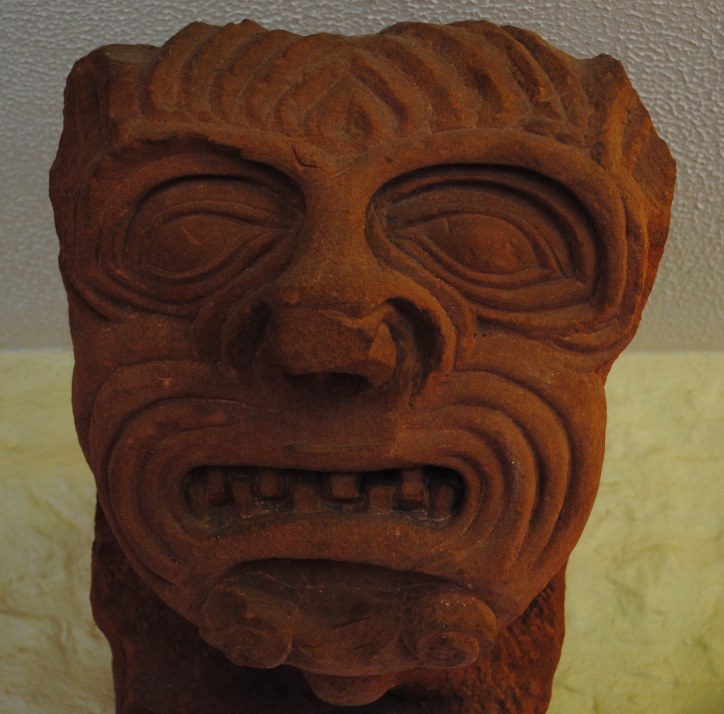 The above deeply carved demon face would once have occupied a prominent position on the castle walls and is an example of a strong medieval carving. The above stonework is a heraldic panel bearing a fleur-de-lys below an earl’s coronet. The panel may be a device used by the Countess of Nithsdale’s family, the Beaumonts. The above carved female figure, or caryatid, once formed one side of an elaborate fireplace in the Nithsdale lodging. The above is a small part of a tympanum from the Nithsdale lodging. Human Love is seen trying to take honey from a wasps nest in the shape of an orb, but representing the World. On the original drawing in Quarles’ book, Divine Love can be seen alongside holding a honeycomb but this has been lost from the carving. 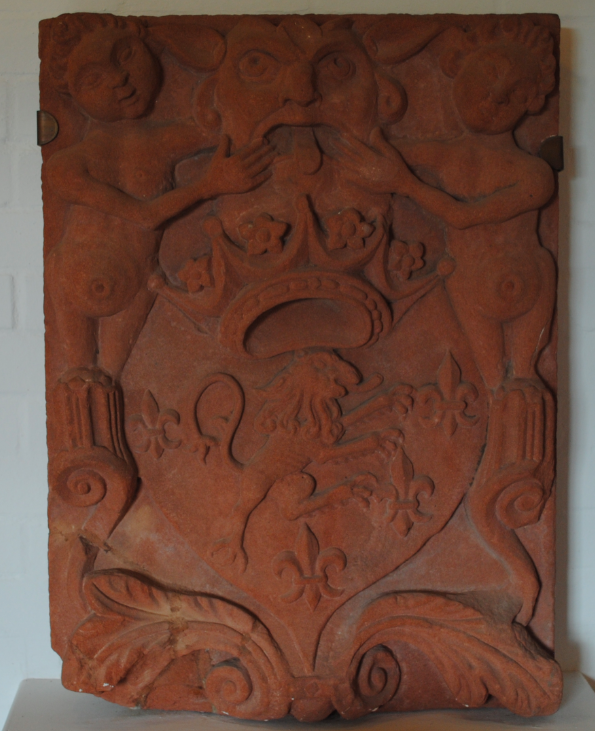 The above is a section from a carved panel from the Nithsdale lodging and thought likely to be part of the crest and supporters on a heraldic panel. 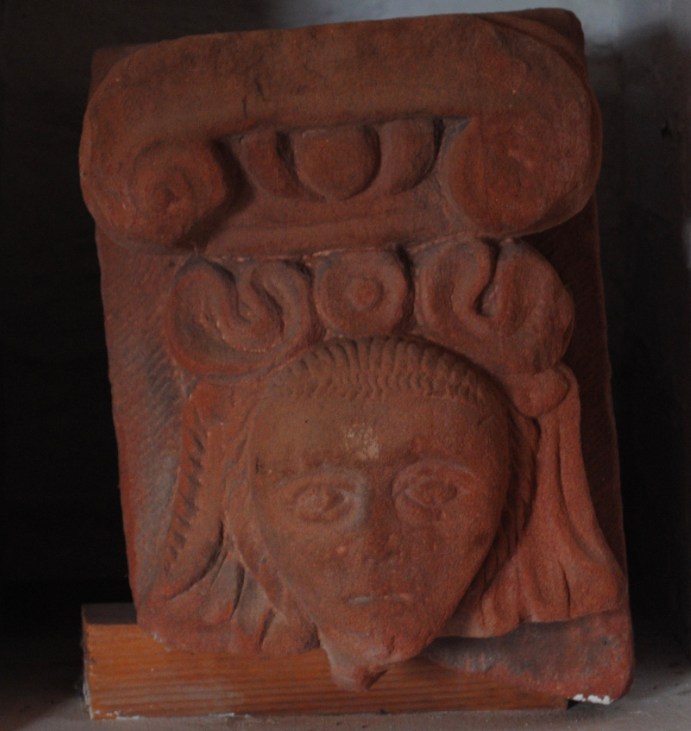 Below is a stone corbel decorated with a crudely carved face. 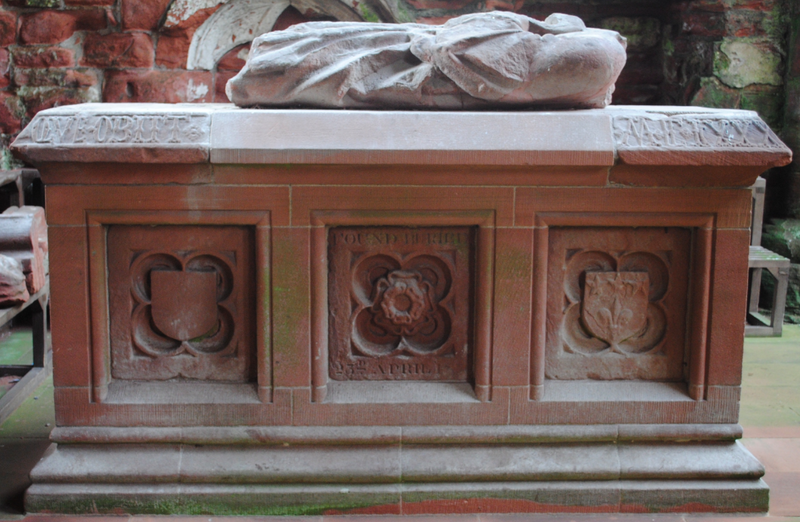 Located in the south transept is a monument to Lady Dervorgilla of Galloway. Following the death of her husband Lord John Balliol in 1268, Lady Dervorgilla had his heart embalmed and placed into an ivory casket. In memory of her husband, Lady Dervorgilla founded the Cistercian abbey of Dulce Cor (Latin for Sweet Heart) in 1273. 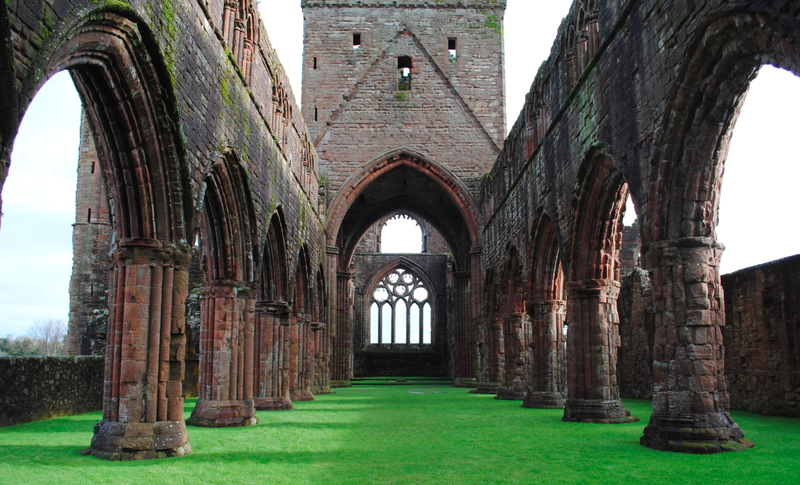 When she died in 1289, her body and her husband’s embalmed heart were laid to rest in front of the high altar in the presbytery. 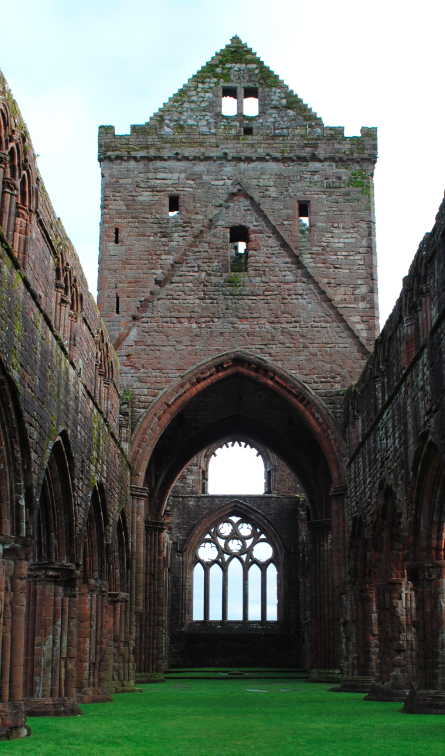 The original monument was destroyed at the Reformation in 1560 with a new one made by Abbot Gilbert Brown later in the century. 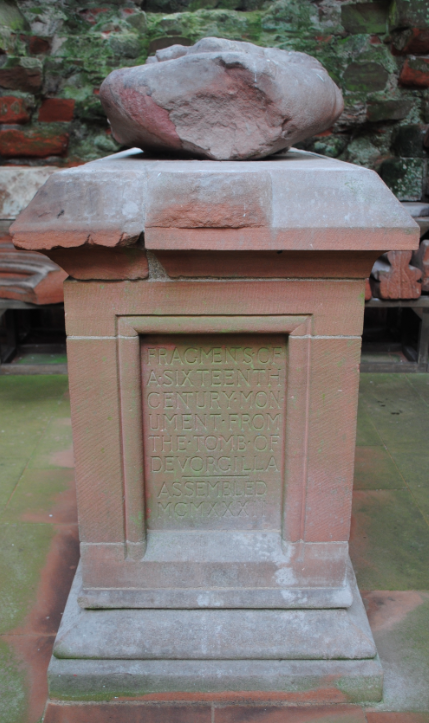 During clearance work in 1929, fragments of this second monument were discovered and reassembled in the south transept. The table monument is ornamented with square traceried panels containing shields and badges. 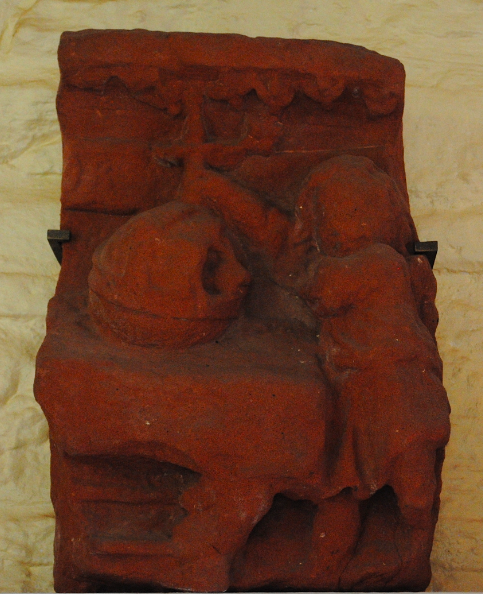 A stone effigy rests on top of the table and depicts Lady Dervorgilla dressed in a gown and mantle and cradling her husband’s heart casket to her breast. 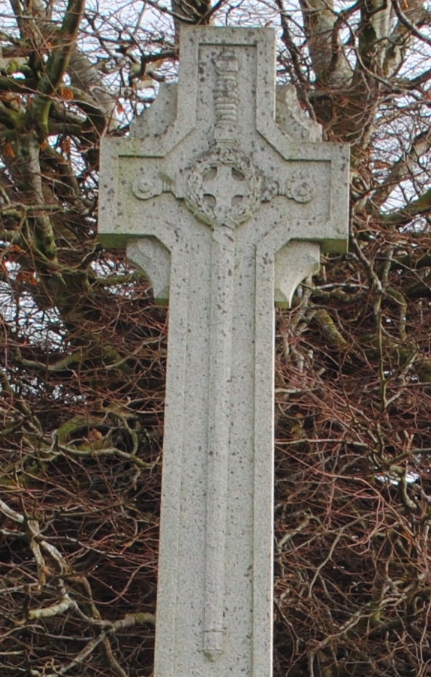 The year of Dervorgilla’s death is incorrectly given in the inscription on the capstone which reads: “R VILLA FUDATRIX HUI MONASTII QUE OBIIT S M CCLXXXIIII” (Dervorgilla, foundress of this monastery, who died in 1284). 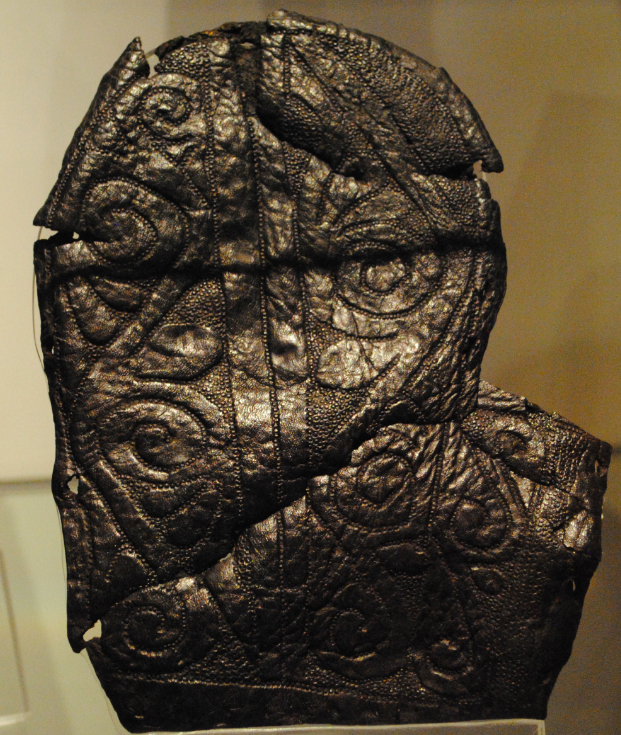 On display in the museum area of Caerlaverock Castle is a piece of richly decorated leather. Identified as either a section of a side-laced boot or a mitt, the leather features ornamental leaf scrolls with punched decoration on the background. The fragment details stitching around the edges and dates to the early 15th century.